The AFC Divisional Matchups are set with the Colts heading to Kansas City after dispatching the Texans on the road and the Los Angeles Chargers (I keep wanting to say San Diego) travel to New England to take on the Patriots. We’ll get into some individual matchups with our Razor’s Edge piece later this week but here are a few quick things to know about the San…er LA Chargers before they head to Foxboro next week. Okay, that may be a stretch, but while you’re guaranteed to hear ad nauseam all week about how either A. Philip Rivers has never beaten Tom Brady (0-7) or B. This year’s Patriots team is very beatable, you can throw out all that hoopla. Everybody is beatable, it comes down to having a good game plan and then being able to execute it. Bolts DC Gus Bradley had a great game plan for the Ravens and they worked it to perfection for 49 minutes but then allowed Baltimore to nearly snatching away a game they had no business winning. But the Patriots wins over the Chargers and Rivers were in 2006-2007. Those were over a decade ago and the only remaining links from either team are Brady and Belichick and Rivers and Antonio Gates. The Patriots were the league’s only undefeated team at home this year with a perfect 8-0 record. The Chargers were the league’s best road team this season with a 7-1 record. And that is even kind of misleading because the Chargers, in reality, played 16 road games this season. They have no permanent home and are operating out of an abandoned office park in Costa Mesa, California while their new facility is being built. They hold training camp at a high school and play their “home” games in a tiny 30,000 seat soccer stadium where the opposing fans frequently outnumber their own. The Patriots home field advantage is well deserved, they rarely if ever beat themselves at home and play much better in the friendly confines of Gillette Stadium. We could regurgitate all of the stats about their home record, which you’ve heard (and will hear all week) but you know all of that. You can’t have an 18-year run of excellence like the Pats have had and not take care of business at home. With a win on Sunday, the Patriots would advance to their eighth straight AFC Championship Game against the winner of KC-Indy. That is ridiculous and attainable if they play their game. Philip Rivers is still making the commute to LA from SD every day and still lighting it up this season. Rivers completed 68.3 percent of his passes in 2018 for 4308 yards with 32 touchdowns and just 12 interceptions with a passer rating of 105.5. Against the Ravens on Sunday, while far from his best game, he did what he had to do to get the win. The Ravens pass rush harried him all game and he completed 22 of 32 for 160 yards with 0 TDs and more importantly 0 INTs against the offensively challenged Ravens. But at 37, Rivers has lost none of his competitive fire. He played the 2007 AFCG with a torn ACL, that is toughness. He’s also always been a huge trash talker during the game and on Sunday after taking a big hit from Matthew Judon after releasing the ball, Rivers thought it was a late hit. When Judon himself got up slowly, Rivers gave it to him yelling an audible “That’s what you get!” You can expect that type of fight for four quarters on Sunday. The Chargers road record reflects that this team can win with their running game with Melvin Gordon or thru the air with Rivers, Keenan Allen, Antonio Gates et al. When the offensive unit struggles, their defense is more than capable of taking over a game. Yesterday’s win over the Ravens was a prime example. With all the talk of the Ravens defense, it was the Chargers defense who carried the game. The pass rush of Joey Bosa and Melvin Ingram dominated up front where Lamar Jackson had zero time to throw or to make plays. The secondary is solid and the rush defense is very good allowing just 104.8 yards per game. The Chargers boast a Top 10 scoring offense as well as a Top 10 scoring defense. There are no glaring weaknesses on this team. The offense averages 26.5 points per game (6th) while the defense allows 20.6 per contest. 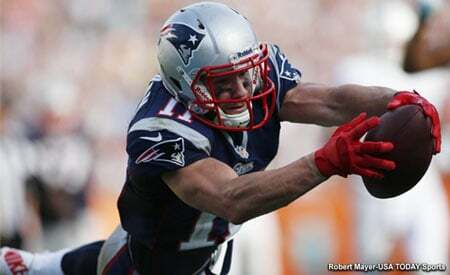 The Patriots are nearly mirror images on both sides of the ball with 27.2 offensively and 20.3 defensively. Playing against the Ravens is always a physical game and that is always a consideration when having to travel back and forth across the coasts twice again. They were already dealing with some injuries before the game. Brandon Mebane was out, and Austin Ekeler, Jaheel Addae, and Dan Feeney were all dealing with injuries. During the game, Melvin Gordon left for a bit with a knee injury that was unrelated to his other knee injury but did return and finished the game. We’ll see how he feels during the week and if it cuts into his practice time. 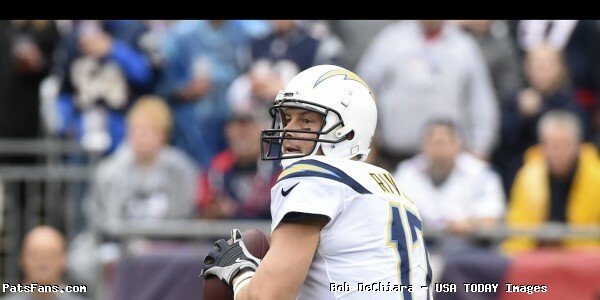 Hunter Henry could be the “X-Factor” in this week’s game. He’s been out since the spring with an ACL injury but has been practicing and could be activated for this week’s game and could bring a huge lift to the Chargers’ passing attack. This entry was posted in 2018 Patriots playoffs, NFL Commentary, NFL News, Patriots Commentary, Patriots News and tagged Anthony Lynn, Bill Belichick, Joey Bosa, Keenan Allen, Los Angeles Chargers, Melvin Gordon, Melvin Ingram, New England Patriots, Philip Rivers, Tom Brady on January 7, 2019 by Steve Balestrieri.